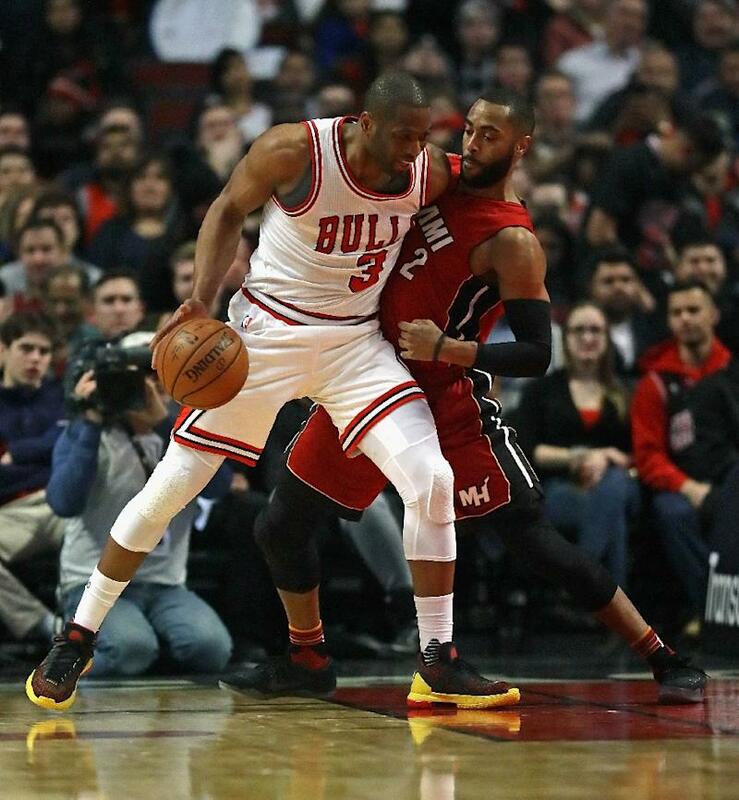 Chicago (AFP) - Chicago Bulls shooting guard Dwyane Wade will miss his third consecutive NBA game Thursday against the Boston Celtics, this time with an illness after missing two with a wrist injury. The 35-year-old backcourt star, a three-time NBA champion with the Miami Heat and top scorer for the 2008 US Olympic gold medal squad, was absent from Thursday's practice. Wade, who joined the Bulls this season, will have another week to rest before Chicago takes the court again February 24 at home against Phoenix. The Celtics' game is the league's final contest before Sunday's NBA All-Star Game. Wade is averaging 19.1 points a game but averaged 22.1 points over his past nine games before being sidelined. "He was in a good rhythm," Bulls coach Fred Hoiberg said. "For him to go down now with this wrist injury, now the illness, the break is coming at a good time for him." Hoiberg said the Bulls will welcome back forward Nikola Mirotic, who missed the past two games with a sore back. At 27-29, the Bulls are seventh in the Eastern Conference, one-half game ahead of Detroit and two games behind Indiana in the fight for the last East playoff spots.